TransDevelopment Group completed extensive facility planning work for the Zárate Automotive Distribution Facility on the Río Paraná over a three-year period. 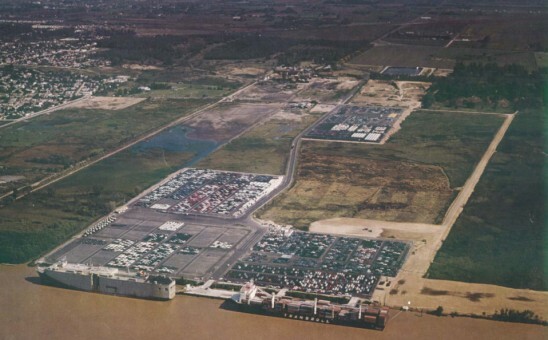 The port handles import and export vehicles, primarily moving between Argentina and Brazil. The study includes an analysis and recommendation for vehicle baying, traffic flow diagrams, vehicle processing buildings, and site layouts. The study also analyses the potential for rail access using the wide gauge Nuevo Central Argentino mainline. Besides the master planning and facility development alternatives, the study discusses facility operations and personnel requirements for vehicle handling in the different yards (longshoremen, drivers, inspectors, etc. ), vehicle processing personnel (mechanics, inventory control, etc. ), and administration.